LITTLE ROCK, Ark., Jan. 16, 2019 (GLOBE NEWSWIRE) -- Bank OZK (NASDAQ: OZK) has hired Ottie Kerley as its newly created Chief Deposit Officer, to oversee all aspects of the bank’s deposit strategies, including data analytics, deposit growth and deposit pricing. Kerley has over a decade of experience in deposit pricing, financial analysis, forecasting and statistical modeling for national and regional banks including SunTrust Bank, where he most recently led deposit pricing for a $110 billion consumer deposit portfolio. Previously, he was a senior financial manager for consumer deposit finance and wholesale deposit pricing at SunTrust Bank, and a marketing database analyst for Wells Fargo & Company. “Our strong balance sheet growth requires us to focus on optimizing our funding profile with the primary objective of improving our deposit strategies,” stated Cindy Wolfe, Chief Banking Officer at Bank OZK. “The addition of a Chief Deposit Officer, together with our existing capabilities, positions us to continue to leverage the tremendous capacity in our existing branch network of 242 deposit offices in eight states,” Wolfe added. 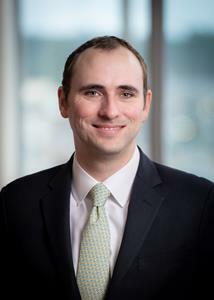 Kerley received a Master of Business Administration from Emory University’s Goizueta Business School in Atlanta, Georgia, and is a graduate of Wake Forest University’s Wayne Calloway School of Business and Accountancy in Winston-Salem, North Carolina, where he received a Bachelor of Science in Business. Bank OZK (NASDAQ: OZK) is a regional bank providing innovative financial solutions delivered by expert bankers with a relentless pursuit of excellence. Bank OZK has been recognized as the #1 bank in the nation in its asset size for eight consecutive years. Headquartered in Little Rock, Arkansas, Bank OZK conducts banking operations through 253 offices in Arkansas, Georgia, Florida, North Carolina, Texas, Alabama, South Carolina, New York, California and Mississippi and had $22.09 billion in total assets as of September 30, 2018. Bank OZK can be found at www.ozk.com and on Facebook, Twitter and LinkedIn or contacted at (501) 978-2265 or P.O. Box 8811, Little Rock, Arkansas 72231-8811. A photo accompanying this announcement is available at http://www.globenewswire.com/NewsRoom/AttachmentNg/d796a954-bc76-4043-8b0c-3baba4804bf7.